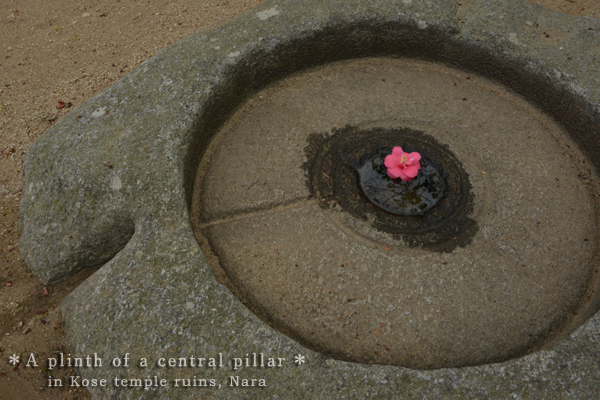 There was a camelia flower left on the centre plinth of the remains of a tower. Miki, the photographer wondered who left the flower? Well, it seems it is not her at least Lol. Taken is the remains of a tower of Kose-dera Temple.